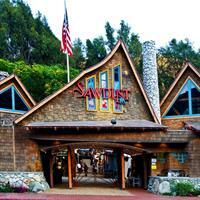 Designed to both entertain and educate, the Sawdust Art Festival draws more than 200,000 visitors worldwide each year. 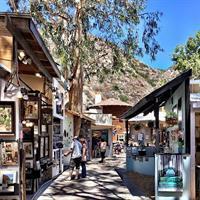 Visitors are invited to shop along sawdust-covered paths through a hand-crafted village of fine arts and superb craftsmanship. 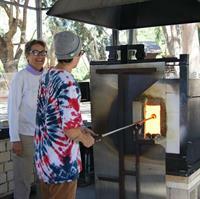 Artists that exhibit during the summer festival are Laguna Beach residents. 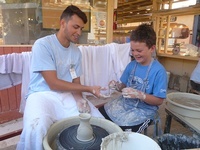 The Sawdust Art Festival also features art demonstration booths such as glassblowing, complimentary hands-on art workshops, a children's art booth, a Ceramic Center, as well as refreshments from four outdoor cafes and a saloon, live musical entertainment and more. 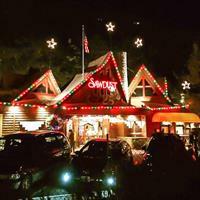 The Sawdust Art Festival sets itself apart from Laguna Beach's other summer art festivals in that it is non-juried, so it plays a vital role in supporting the careers of many local artists. 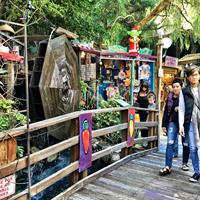 The Sawdust has expanded from its beginnings as a small show on a vacant lot on PCH to a nine-week festival set in a cool three-acre eucalyptus grove, complete with waterfalls, in Laguna Canyon. 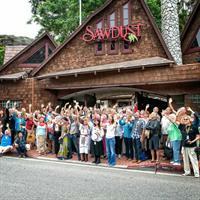 Along the way, the Sawdust has become Southern California's most popular summer art festival, drawing higher paid attendance than any other summer festival. 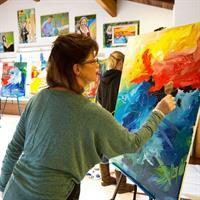 Art classes in a variety of disciplines are offered to the public every Friday and Saturday year-round on the Sawdust grounds. See our website for class schedule and pricing.